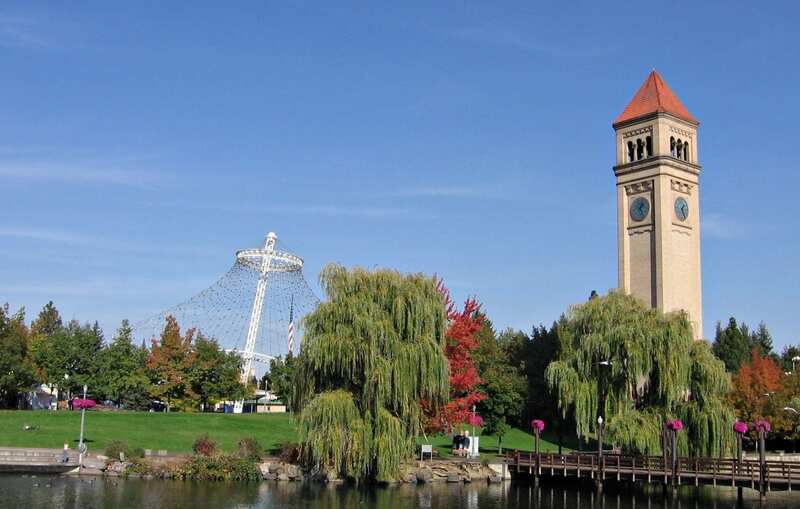 Today, downtown Spokane, Washington, USA, includes beautiful Riverfront Park— place for fairs, picnics, family reunions, a walk during lunch break. 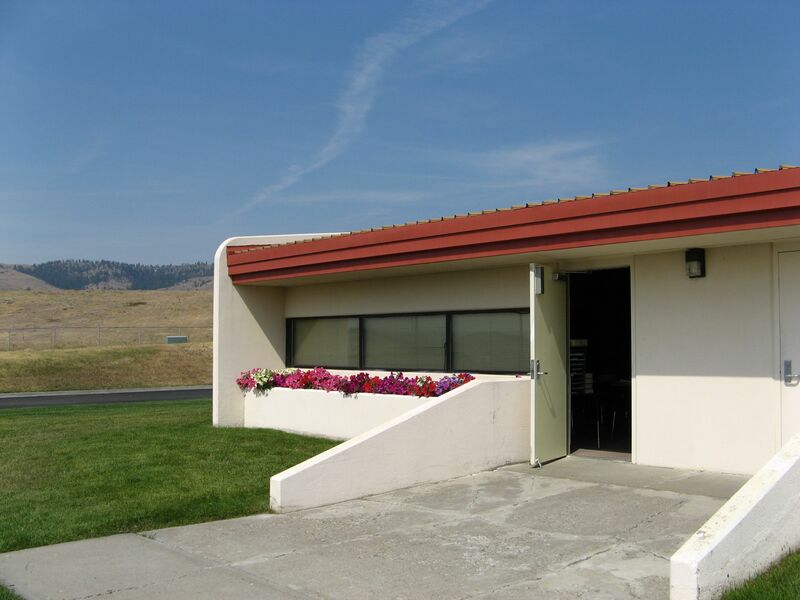 The leaders of the Spokane community had a vision– and actively worked to make it happen. 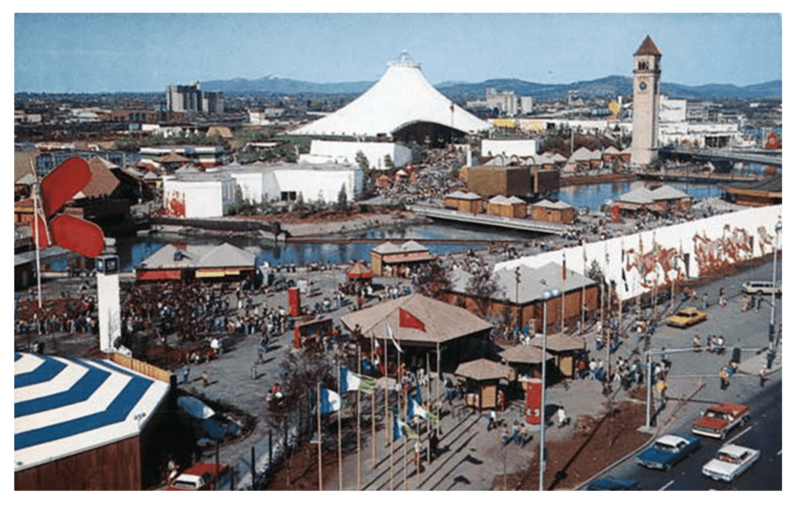 Spokane is still the smallest city to host a world fair. 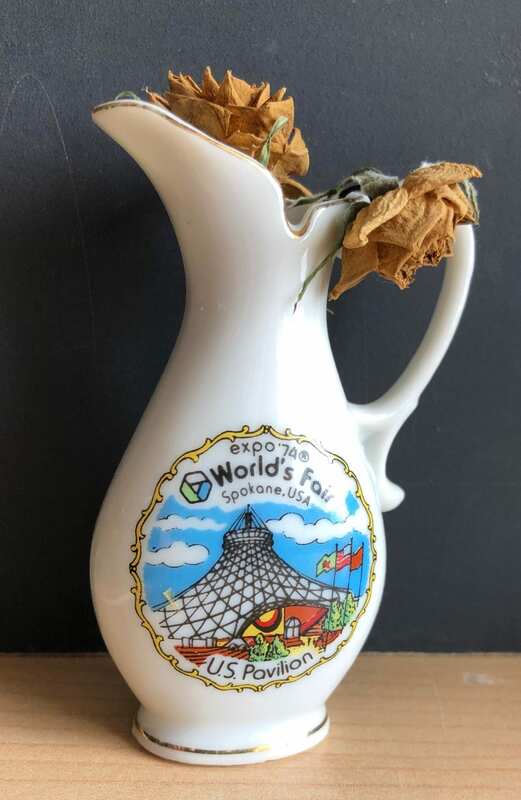 You can see the clock tower in all three images, which was saved from the old railway yard to show the possibilities of “Progress Without Pollution,” the Expo 74 motto. Its theme was “Celebrating Tomorrow’s Fresh New Environment.” The fair was part of the Bureau International des Expositions [IEB], but the hard work to make it happen belongs to the civic leaders of the city at that time, which you can read about here, historylink.org. 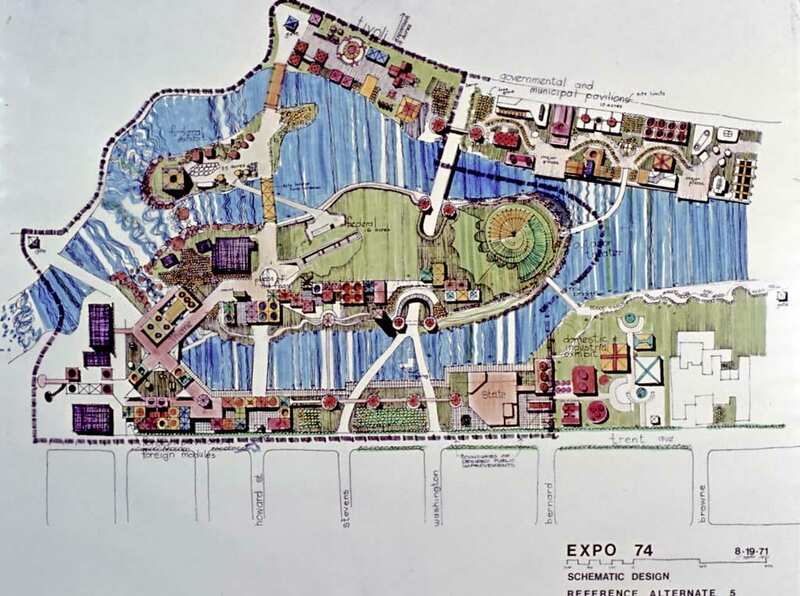 Scroll down on the page for specific information about the Expo74 World Fair itself. And PBS has a 1997 video review of the event. 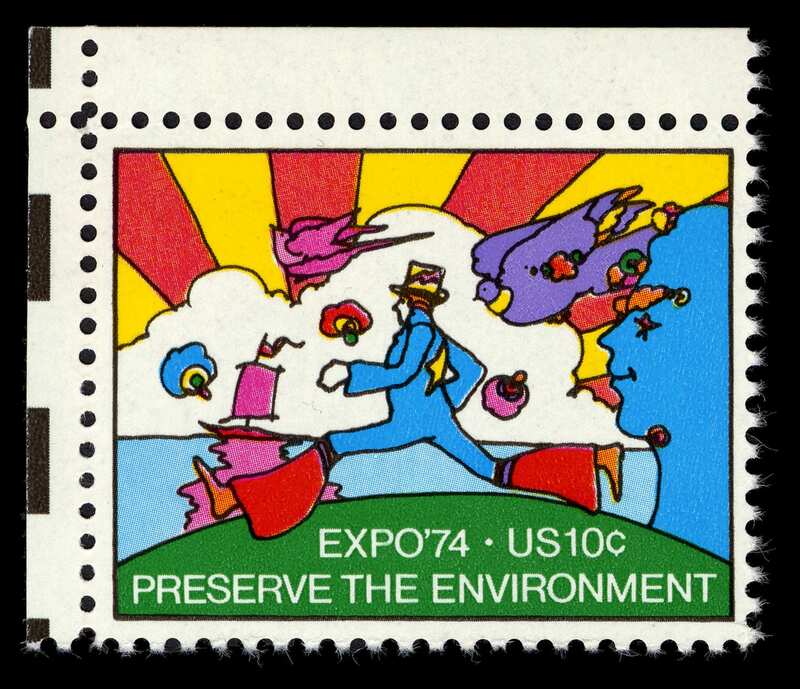 Another review of the Expo links it to a further extension of the hope for Earth Day, which started April 22, 1970, and on which the leaders hooked their theme: Expo74 and Earth Day. I was in my 20s and a young mother living in Spokane during Expo74. I was so excited, reading about the plans in the paper, and the struggle to make it happen — I so wanted it to succeed. 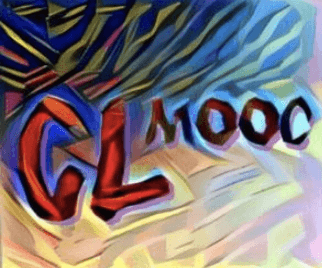 I’m sure I visited every week — excited to learn about each country, and to see things I would never have contact with otherwise, since this was before the day of the Internet and I could not hop online and visit any of the countries from home on my computer. Although there were lines to wait in, it wasn’t too much trouble. Spokane can be hot in the summer, so it was nice to have benches and places along the river to walk. One of the best parts was the multicultural food fair in one section of the park. Mmmmm. What I remember most were the Canadian exhibit and the Russian exhibit. Canada is our gracious neighbor to the north, bordering my state. My grandfather was from Canada and I’ve friends and relatives from there. The exhibit was on the island in the middle of the Spokane River. The exhibit blended in with the natural formation of the area, with an open amphitheater for picnics and presentations of song and dance from Canada. The exhibit focused on their native peoples and included totem pole carving. My two year old son and I rested there often. I was especially excited for the Russian Pavilion. Remember that this was still in the period of the “Cold War,” so distrust of one another, Americans and Russians, was high. Many older people, especially, worried about entering the pavilion. That fear can be found in some of the historical pages about Expo74. For myself, it was one of the first exhibits I entered. I’ve always tried to imagine a real person from other countries — real people with their own families whom they love, which is just as I do. That gives me a reference point of understanding. There were displays built of cities, where you could read about and see the design to keep out the cold winds in the far north, for instance. That’s one I remember most. Oodles of pictures and displays showed the ingenuity of the people in solving many problems [like safe water and air] and sharing the cultures of the huge country. The Russian exhibit was the largest of all exhibits, and served to highlight the country’s best. 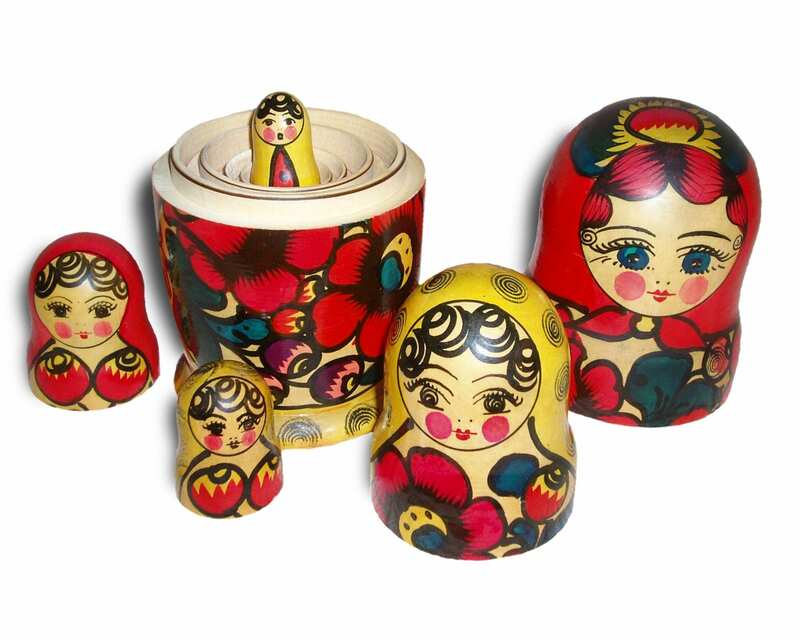 I saw my first Matroshka nesting dolls — I’d never heard of them before– the ones there were lovely. I would have loved to have purchased a set, but on my young family’s budget, that would not happen. The fair helped all visitors understand the need to care for our environment. Many policies and regulations began to pop up to keep “green areas” near the business districts and malls being built in Spokane. 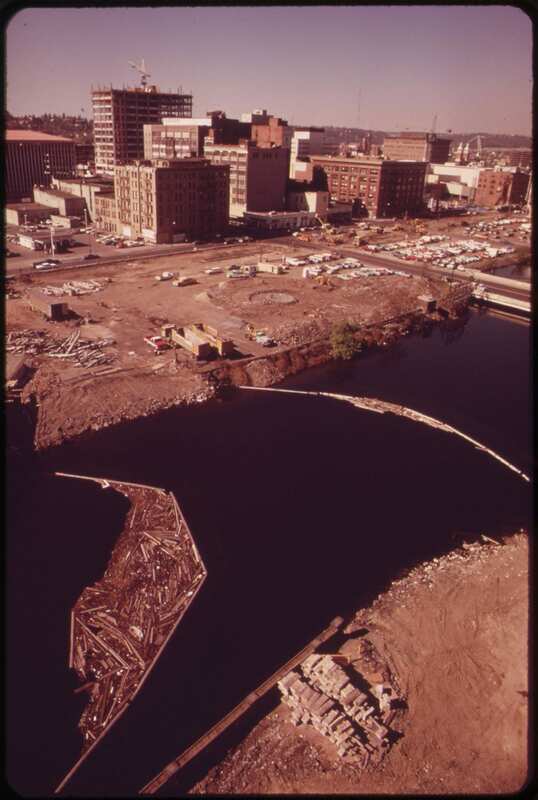 And the small city of Spokane kept up that promise by maintaining and building on the Riverfront Park created by Expo74. It may not have inspired all that needed to be done, considering the state of “climate change” today, but it was a start from which we could learn. We were surprised to know that EXPO has a long history. We wonder, what the main theme of EXPO 74 was? What were people interested in so many years ago? It was very fun to dig into the past and remember my favorite parts. I hope the information helps you to understand 1974. Thanks for the great question! I wonder what effect Expo 2017 had on your country or your city? Thank you for your time, it was very interesting to read about changes before and after EXPO. The exhibitions in 1974 and 2017 are similar to the fact that both touched upon the environment, then and now we are trying taking care of the environment, care about “green” energy and “climate change”. The holding of the EXPO showed the commitment of our country to the development of “green” technologies. In general, the exhibition made a unique contribution to the development of clean energy, and showed how people can use energy for reasonable purposes. We knew that this event influenced the reputation and development of our country, so we reacted to this event responsibly. Expo-2017 in Kazakhstan was one of the most important events for our young and developing country. As a result, about 1,500 organizations of small and medium-sized businesses in Kazakhstan were provided with orders for goods and services in the amount of 2 billion US dollars. All this will has a significant impact on the development of foreign economic activity of Kazakhstan. Due to the exhibitions Kazakhstan gained not only precious experience in holding such ambitious events, but also inherited new roads, an airport, a business center, a congress hall, and even the special residential area “Expo Village”, intended for foreign guests, volunteers and pavilion organizers from abroad. It was a good opportunity to show other countries our economic potential. It also influenced tourism industry. The number of tourists in Kazakhstan has increased significantly. Many people became interested in the culture, history, traditions, nature of our country. Finally, Kazakhstan has strengthened its image as a safe and dynamic developing country in the Eurasian region. I see that not only the theme of the environment was similar, but also the actually improvements in the environment occurred in both areas. 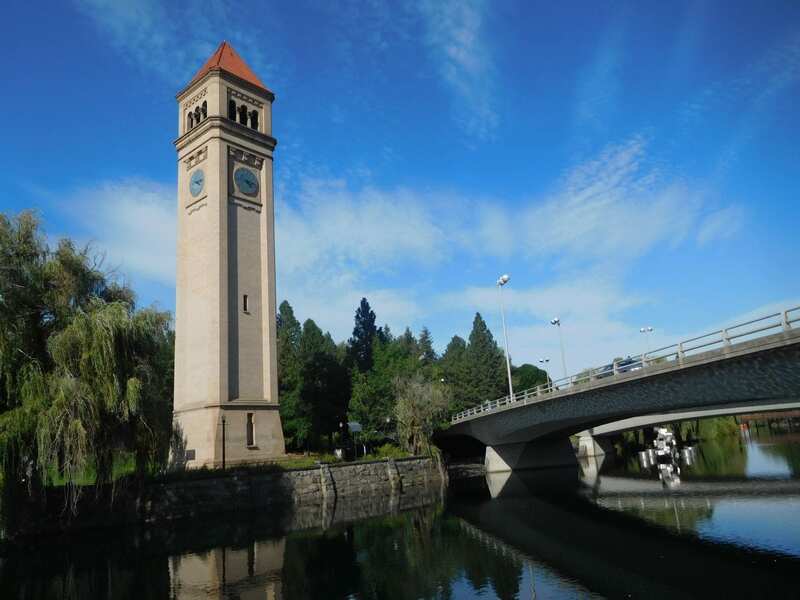 Spokane’s downtown is still a thriving place to visit because of the improved downtown area and Riverfront Park. All the old buildings were rebuilt or rejuvenated, and these past few years, even more have been upgraded into safe and busy places for the residents and visitors. Some history was lost– in the old railroad station and the old “Chinatown.” But many areas of both are still visible: the railroad clock tower and a few of the Chinatown alley-ways, not storefronts or parking lots. 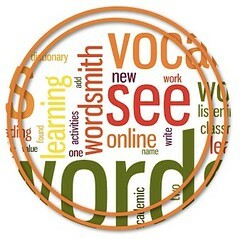 Luckily, the story is still written on these web pages. I’m glad that for both Spokane and Kasakhstan, the image of “safe and dynamic” is a benefit that will last a long time.